TUL Corporation, a leading manufacturer of AMD graphic cards, today announces another cost effective model at R7 series, the PowerColor R7 250X. Being the sibling of other R series models, the R7 250X is surely packed with the latest technologies, including ultra resolution gaming, the Microsoft DirectX 11.2 support, ensuring extreme gaming experience for gamers without any compromise. 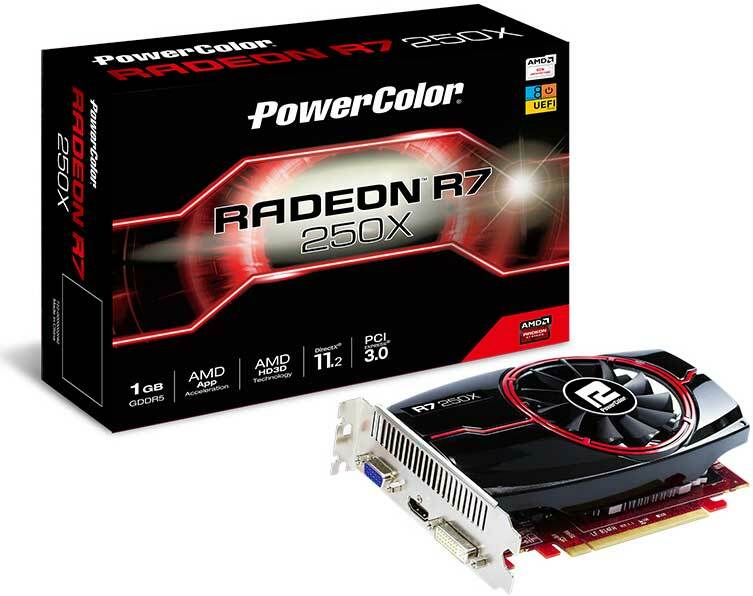 The PowerColor R7 250X is based on GCN architecture with a total of 512 stream processors, delivering massively parallel computing power for graphics and other accelerated applications. The new model is fitted with 1GB of GDDR5 memory connected via 128-bit memory interface; Clocks are 1000MHz core and 1125MHz for the memory, delivering the most out of its ability. The R7 250X is successfully introduced with bunches of innovative technologies. With Mantle support, game developers can get the unparalleled access to the GPU core, and bring a brand new way of looking at the world of digital gaming. The AMD Power Management technologies combine AMD PowerTune technology and AMD ZeroCore Power technology, delivering intelligent power monitoring and allowing GPU to consume virtually no power when in idle mode. By using the AMD CrossfireTM technology, users can get exceptional performance scaling with a second GPU.